In this post I will tell about how to give the color code to the tasks list which can be very attractive in knowing the status of the tasks. Create a task list , in this example I have taken the default task list. 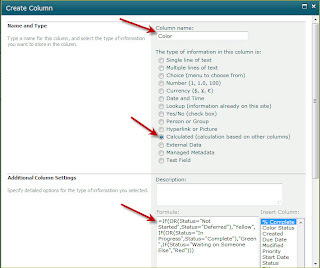 Now create a column by the name "Color" and select the column type as "Calculated" and enter the following logic in the formula column and click Ok.
Now in the similar fashion create a new column by the name "Color Status", choosing column type as the "Calculated" and entering the logic in the formula section as given below. 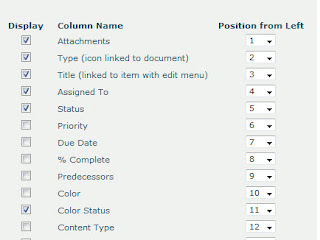 Now add the task list webpart on the page you want to display. 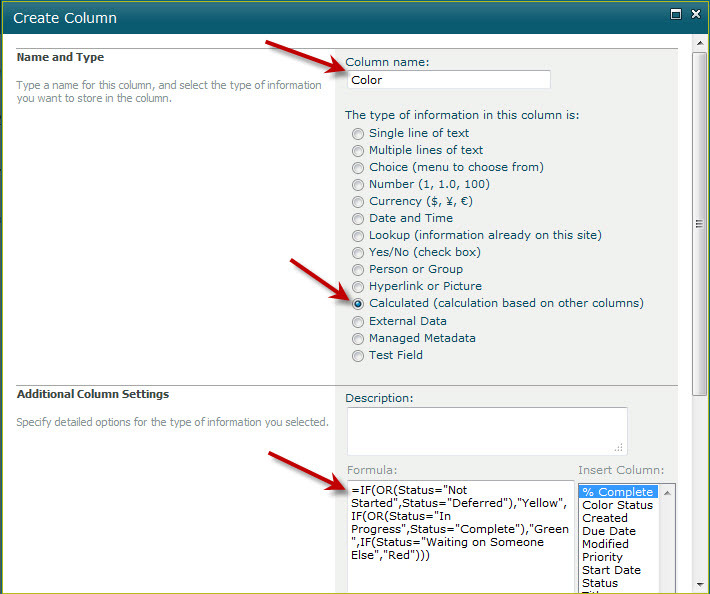 Edit the webpart and select the columns that are of use. 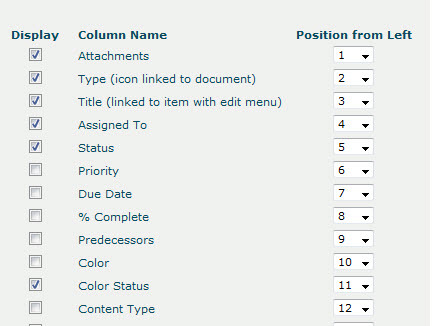 Now add the content editor webpart right below the task list webpart (otherwise it will not work). 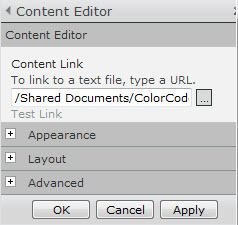 Set the content editor webpart to be hidden and chrome type to be none. Now save the page and the list will look something like this.